Born again hair . com - STOP HAIR LOSS and GROW NEW HAIR with the "MALINIAK METHOD"
Select your Language in the Pull-Down List. Then click on the Triangel PLAY Button to Translate this page. We are proud to sponsor BEATLES RADIO. Click below to hear our Ad. Thank You. CURRENT TREATMENT METHODS FOR HAIR GROWTH AND MOST HAIR LOSS CURES DO NOT WORK...BECAUSE WHAT WE HAVE BEEN TOLD UNTIL NOW IS NOT COMPLETELY TRUE!!! SO IF YOU ARE GOING BALD OR YOU HAVE EXCESSIVE HAIR FALL YOU CAN NOW STOP HAIR LOSS NOW, GROW NEW HAIR AND THICKEN THIN HAIR WITH A SIMPLE NEW TREATMENT METHOD BASED ON A RADICAL "NEW" THEORY ABOUT THE TRUE GENETIC CAUSE OF HAIR LOSS BUT WHICH USES AN OLD "ESTABLISHED" ELECTRICAL SCIENCE TO STIMULATE THE FOLLICLES TO GROW BACK YOUR OWN NATURAL HAIR..
By LEON MALINIAK, B.A., B.C.L. ...that's because they do not treat the true genetic cause of hair loss. The conventional wisdom is that hair loss is caused by 5 Alpha-Reductase which converts ordinary testosterone into DHT (dihydrotestosterone). DHT gets into the follicles and puts them into a dormant state until they eventually stop producing hair. I always knew it could not be the only cause of hair loss because no man goes bald and no man suffers from HAIR LOSS or from excessive HAIR FALL on the SIDES or BACK of the scalp, but only on TOP. These different areas are all exposed to DHT, so it made no sense that DHT was the only explanation. I knew there had to be some other UNKNOWN factor at work, so I started doing research on this problem again from scratch. I was surprised to discover something about the anatomy of the scalp which I had never seen before even though I have been studying hair loss for thirty years. As soon as I saw it, I knew this was the MISSING PIECE of the puzzle. It's the third layer of skin at the TOP of the scalp and it's called the GALEA APONEUROTICA. 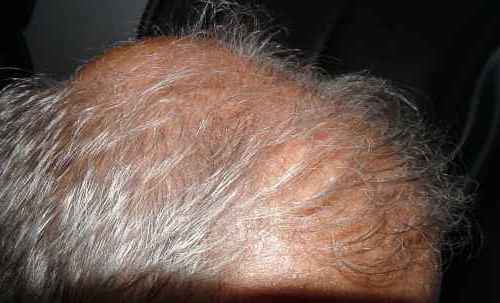 This GALEA is a tendon-like tissue which exists ONLY on the TOP of the scalp. It almost looks like a helmet and its shape matches exactly the worst cases of male pattern baldness. This GALEA is attached to muscles all around the head which PULL on it and STRETCH it in all directions. That's why all bald guys look like they have a stretched, SHINY scalp. When this GALEA gets too tight and stretched it "chokes" off the blood flow to the follicles and this is the "trigger" which sets in motion the whole sequence of events which leads to our GOING BALD. 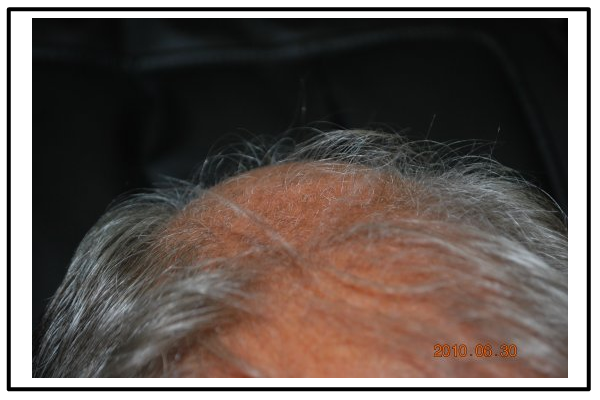 We only go bald in those areas where this GALEA exists and nowhere else on the scalp so it became obvious that any HAIR LOSS CURE must first correct the problem of this tight GALEA and the way it interferes with normal blood flow. I did not invent the idea that this GALEA may be involved in hair loss, it's been debated for years and it is still being debated. I finally realised that this endless debate was not resulting in any action being taken so I took a stand and decided that from the preponderance of all of the evidence and on a balance of probabilities, that it is more logical to conclude that this GALEA is in fact involved in hair loss and male pattern baldness and pattern baldness and decided to do something about it. I only wanted a solution which allows us to recover our own NATURAL HAIR and something which did not rely on HAIR REPLACEMENT or a HAIR TRANSLPLANT. 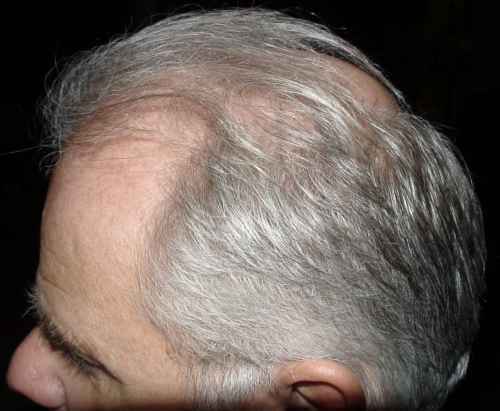 But since all men have a GALEA and yet not all men lose their hair or get male pattern baldness, I concluded that it is only in those men who have a genetic pre-disposition to developing an extremely tight GALEA, or where it becomes very tight due to extreme STRESS, where this GALEA is a factor in hair Loss and that it is only these men which are in danger of GOING BALD. I then incorporated it into a comprehensive NEW THEORY that says hair loss is caused by TWO things and not just one; firstly, by a tight GALEA, which blocks blood flow and nutrients to the follicles AND then secondly, by DHT which accumulates in the follicles, due to this disrupted blood flow, making them dormant and unable to grow new hair. Newly released scientific studies, which I refer to below, now suggest that there is also an "overproduction" of DHT when levels of OXYGEN are reduced, which is again consistent with my view about the role of the GALEA disrupting blood flow and which would explain this reduced oxygen level. This "completes the circle" and suggests that the disrupted blood flow from the tight GALEA results in both an accumulation and overproduction of DHT in the follicles and it is now even more logical to conclude that it is all this extra DHT which then causes the hair loss and male pattern baldness only in those areas where this GALEA exists and nowhere else and only in those people whose GALEA is very stretched and tight. The exact mechanism by which the DHT causes it's damage is not fully understood but there is still no doubt that it is the actual "killer" of follicles, as the conventional wisdom states. What's never been properly explained until now is WHY the DHT does this in why it only happens in some people and not others. Every man has DHT, so why isn't every male bald? Women also have a GALEA, so why do most woman not lose their hair? 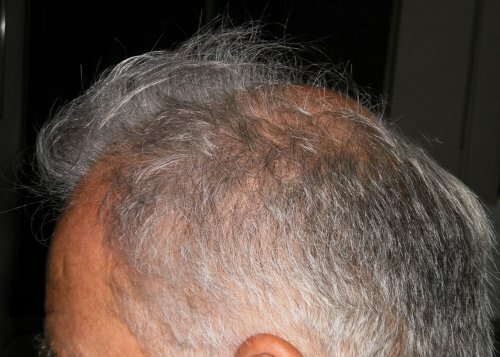 The MALINIAK METHOD finally answers these questions with this new TWO FACTOR THEORY of hair loss by saying the DHT becomes a problem only in those men who FIRSTLY, have this tightened GALEA, which chokes off the blood supply, allowing DHT to accumulate and as these recent scientific studies suggest, cause DHT to be overproduced due to the lower oxygen levels. This stops the normal cycles of HAIR GROWTH and puts the follicles into a ever longer and longer DORMANT state until they no longer produce hair. Those few women who eventually lose their hair or have hair loss, even though they may have had a tight GALEA for years, only do so if they develop the second problem at some point in life, as only some of them do, which is the elevated levels of DHT due to menopause or childbirth. MORE IMPORTANTLY, I developed a NEW METHOD to stimulate dormant follicles and grew NEW HAIR on areas which were bald for years...contrary to everything we have told till now. This is my own NATURAL HAIR and not some surgical HAIR REPLACEMENT. Based on this new theory, the treatment method first relaxes this GALEA with massage and then uses a special electrical device to stimulate the follicles into growing hair again. (It is not a laser comb). The device we use is based on an old established science which is still used today but for other purposes. I chose it because unlike other devices, it deeply vibrates the hair follicle. My theory is that this vibration does two things; firstly it "dislodges" the trapped DHT and secondly, it stimulates the hair growing machinery in the follicles to work normally again. The follicles wake up from their dormant state and "REBOOT". They act like normal follicles and once again GROW NEW HAIR. 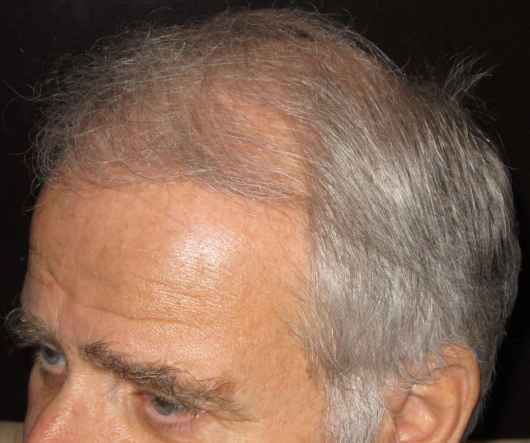 This also STOPS continued excessive hair loss and THICKENS THIN HAIR. The "MALINIAK" method: NO DRUGS, NO LOTIONS and NO SURGERY. This website was first activated about one year ago. Now, recent new scientific studies have confirmed the validity of the TWO main premises of the "MALINIAK METHOD" which we suggested one year ago and also contribute other explanations of WHY our suggested treatment techniques work. 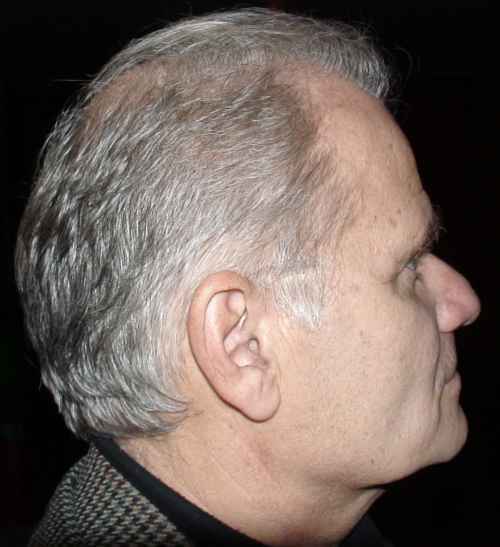 Firstly, a study by Brian J.Freund at the Crown Institute in Pickering, Ontario published in the "Journal of Plastic and Reconstructive Surgery" used botoxin to relax the GALEA and thereby triggered some new hair growth, concluding that a tight GALEA is in fact involved in hair loss as is suggested by the MALINIAK METHOD. It also concluded that the restricted blood flow interfered with the production of oxygen and this lower level of oxygen caused an overproduction of DHT. 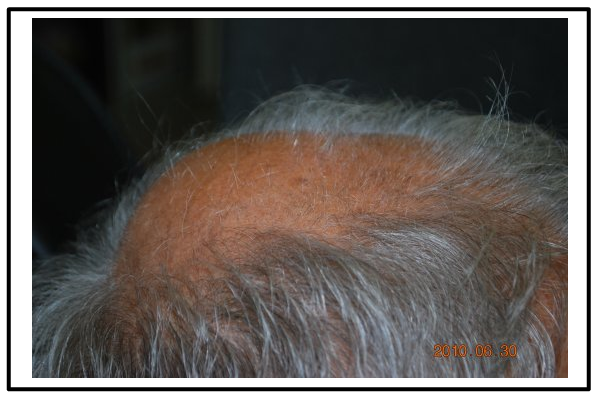 This supports and proves the first hypothesis of the "MALINIAK METHOD" that the GALEA is in fact involved in hair loss. It may also explain another reason why the electrical stimulator we use, which does several other things, but which also generates oxygen, is able to revive dormant follicles by also restoring the normal levels of DHT production. This effect would be in addition to the other ways our electrical device stimulates the follicles which includes high frequency "vibration" of the follicles at a cellular level, which we theorize both REVIVES the dormant follicles and also dislodges what we now know is this "overproduced" DHT as well as helping to "dislodge" the already accumulated DHT, according to our theory. However, this botoxin approach ALONE does not stimulate very significant hair growth which we would explain by saying that it's because, according to our theory, it only addresses "one-half" of the problem. 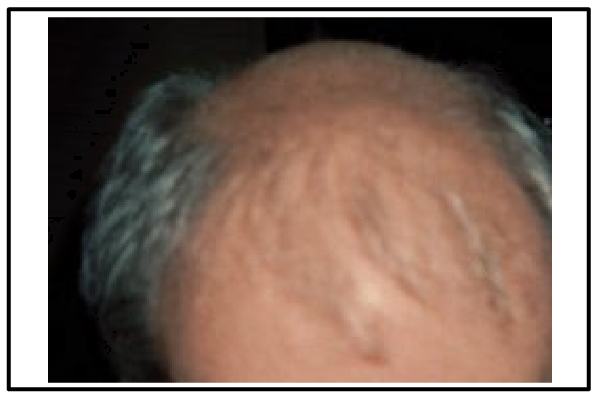 The MALINIAK METHOD, states that HAIR LOSS and Male Pattern Baldness is caused by TWO FACTORS, and therefore treats both the first and second parts of the problem, the tight GALEA and the DHT accumulation and more importantly, provides a new idea and method to stimulate the dormant follicles to become active again by reviving an "old established" science. This botoxin approach also uses a controversial and potentially dangerous drug to relax the GALEA and our system does not need, nor does it encourage or tolerate the use of any drugs. NO DRUGS, NO LOTIONS, NO SURGERY. The second study was conducted at the University of Pennsylvania by George Cotsarelis and published in the Journal of Clinical Investigation. It found that bald areas and non-bald areas have the same number of "stem cells" but the non-bald areas had more "progenitor" cells, which are a more mature form of the stem cells. It concluded that these stem cells could in fact be stimulated to transform into these "progenitor cells" and grow hair again in bald areas. Therefore, contrary to the previous conventional wisdom, "dormant" follicles can in fact be revived, as originally suggested by the MALINIAK METHOD one year ago, and more importantly, we actually have a treatment method by which to do this using our electrical stimulator. This study therefore confirms the second premise of the MALINIAK METHOD that "dormant" follicles can in fact be rejuvenated to grow hair again". All of this represents "independant scientific" proof and validation of the TWO main underlying premises of the MALINIAK METHOD predicted one year ago. WOMEN also have a GALEA and it is LOGICAL to conclude that it can also get tight. But based on this new TWO factor theory about the cause of hair loss, I concluded that most women do not lose their hair even if they have a tight GALEA because the majority of women do NOT have the second problem, which is elevated levels of testosterone or its by product DHT. 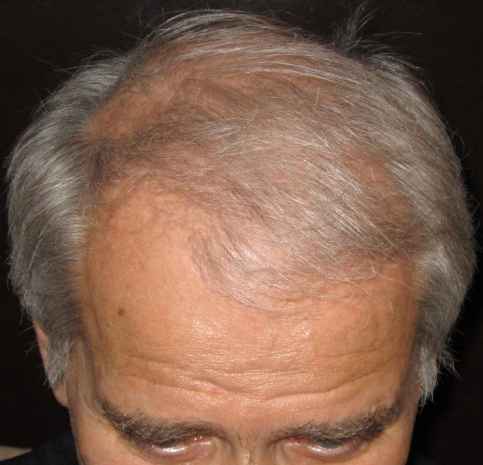 Based on this analysis, it is also logical to conclude that this new treatment method would also work for women, to even help them with LOSS PREVENTION or to GROW THICKER HAIR and perhaps that it would work even better than for men because women have not had the built-up or negative effects of DHT for as long as most men with this problem. I had used the system on myself for only about four months and yet the results were so remarkable that a close friend of mine, BERNARD GURBERG, owner of DOLLAR CINEMA in Montreal, insisted that I make this system available to other people. I first wanted to be sure that my results were stable and that I continued to grow new hair. 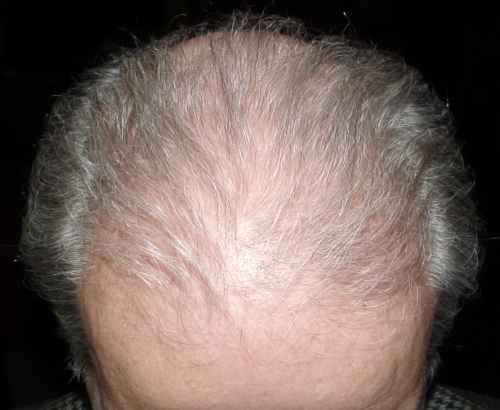 It soon became obvious that not only did this method STOP my HAIR LOSS but my NEW HAIR growth was continuing and accelerating, first in areas which had gone bald in the last few years and then in areas where I have been bald for thirty (30) years! I was also growing THICKER HAIR which behaved more like real hair and not the �wispy� baby-like hair I had before. 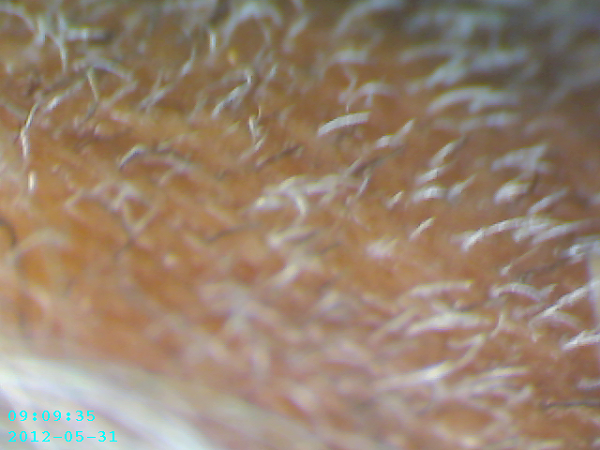 CLOSE-UP image of NEW HAIRS continuing to emerge NOW on LEON'S scalp in a previously bald area. It is obvious they are NEW hairs because they are all simultaneously short...which does not happen in a normal scalp. I do not want to exaggerate because I just started this program and my hair is still thin but there is no doubt that my HAIR LOSS has stopped and new hair is definitely growing everywhere. I knew it would take patience because follicles which have been dormant for a long time will not revive overnight but I stuck with it and it worked. 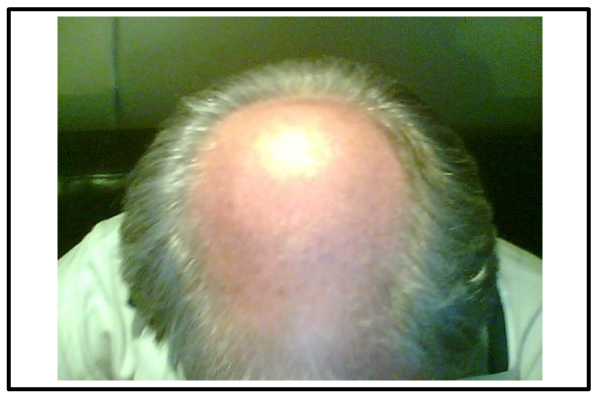 I am 63 years old now, but I was 61 when I started, and I had been bald for many years, but this method started working EVEN for a man of my age and at 61 years old the results showed up quickly, and my hair continues to grow back till today and to the point where I no longer look bald... and I am still continuing to apply this method... If my hair continues to grow at this pace, GOD WILLING, I will grow back more and more hair and THICKER HAIR till I have a full looking head of new hair. I will not stop and it is just part of daily routine. I even realize and accept that at my age I may never get back all my hair or that it may never look like a really full head of hair, but for someone who has been bald for years, seeing my HAIR GROW and seeing what I have already recovered is a MIRACLE and I no longer feel bald or helpless against this problem. FOR YOUNGER MEN, THIS METHOD SHOULD WORK FASTER AND BETTER BECAUSE THEIR FOLLICLES HAVE NOT BEEN DORMANT FOR AS LONG AND ARE NOT AS CLOGGED WITH DHT AS WITH OLDER MEN AND YOUNG MEN SHOULD GROW HAIR FASTER. These results have now been replicated in at least six "informal" test subjects of different ages, where the younger guys, aged 21 and 24, stopped their hair loss within three to four weeks and they started growing new hair. I myself didn't even believe that at first, but when I thought about it I realized that if this theory is really valid and true, then if the PROCESS causing the hair loss is stopped...it is logical that in these younger men their hair would stop falling out almost immediately and their hair would start to grow again. In addition to our own test subjects, and after being made available for 18 months, these results have now also been REPLICATED on people all around the world and there are over 20,000 websites referring to the MALINIAK METHOD. MANY of the members of the world's largest FORUMS on hair loss, after first DEBATING the merits of it for several months, are now trying the method and it has reached the point where people who have been using it for a while have posted "unsolicited" TESTIMONIALS about their success with this method all over the Internet about how they stopped their hair loss and grew NEW HAIR with this method very quickly. Now that it is better known, several media celebrities are now using the system and talking about it and endorsing it very favorably. 07/08/13 EXTRACT OF A LETTER FROM JOE N.
Hey leon, u may remember me altho i kno u contact many peoples queries daily, but as we have contacted many times hopefuly u will remember me! Now first of all, i am now at the around 13/14 month mark of using your method, and the results are absolutly amaizing!! Uv basically saved me my hair and this method i am convinced is the cure! I am so glad i found your method and the current state of my hair is the best its been for 2/3 years and its all down to ur info and findings. 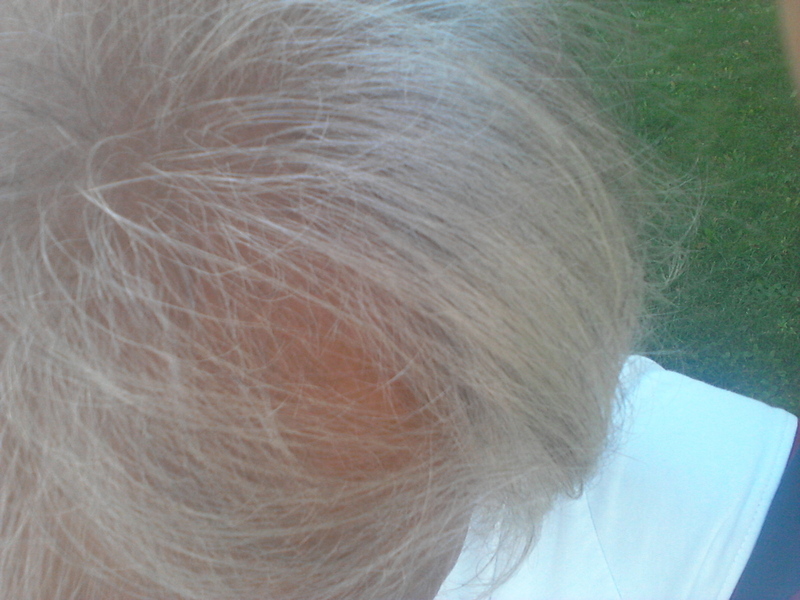 Even my atual scalp its self is now alot more elasticated and the extreme tightness has gone which i beleve must just be from the massage techniques alone, its great! I am even down to just doin it once a day and I will continue to use ur method for the rest of my life and im confident the results have been that good this time next year my hair will b pretty much back to how it was before it started thinning, frontal area is the most noticable for me, im thrilled! And alot more confident. RAY BURROWS; My hairloss problem is basically over now. I really cant thank you enough. I hope you are well. 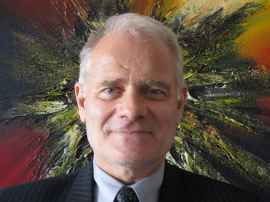 LEON MALINIAK; This is so gratifying to hear and I am hearing it from more and more people all over the world who have had success with the MALINIAK METHOD...they either post comments on the world's HAIR forums or they write to me privately. It is the most satisfying thing I have ever done in my life.... If you have any pictures of how your HAIR progressed during this process, I would appreciate if you would post them on those forums and also send them to us. RAY BURROWS; I would feel the same way if I were you, helping people is what its all about. I would find it way too irritating trying to convince people of its effectiveness though, I think lots of people out there would not have the discipline to do the treatment even though it makes perfect sense when you read the book. You may use anything I've written in any way that you wish, I don't have any real pictures that show the dramatic results that people would want to see but like you said in one of your posts a before and after photo of hair growth are easy to fake on the internet. I will make another post there for you for sure. I wish you all the best. I�m a man in my mid thirties and I have had some fantastic things happen with using your method. I started using the MM the second week of July this year after having scalp and hair loss problems for the past 15 or so years (since early twenties). I had significant loss on the top and in the back of my head, and had a lot of itching and scratching. I only managed to save the hair I had left with organic shampoos, and it also reduced the itching. So, my story is unique in that I had serious issues, but the natural stuff was making it at least manageable. I tried Rogain and it was working in starting to grow back hair, but the side effects were ridiculous, man, so I quit. Anyway, since using the MM I now have feeling in my scalp again. I had horrible muscle tension running down the ridge from behind the ear to the base of the skull which I had noticed a few months before finding your MM, and wondered how in the world a muscle in my scalp could be that tense. After starting your program a few months ago, I found out that the entire back of head was tender and sensitive to the touch. More than 90 percent of that tension is now gone, three months later. What�s more is I have hair growing back all over my head, it�s so cool! The MM is amazing, and I�m happy to give you this real story. As to whether or not I send in pics, I am still unsure. I have seen the skeptics in the forums, and many of them will cry �photoshop� before opening their minds to the idea that something like this can be real. Having said that, I�m not afraid of using my pictures either, and I could easily see myself setting up my own blog where I discuss my story, and then have a link to your site on there. For now I hope my email brings lots of positive vibes, and good energy to your day; what I�m saying is all very real. I began your method mid March and after a period of intense shedding that lasted till almost the end of June I experienced a spectacular recovery through July, August and most of September. My hair was the best it's been in a couple of years. My name is Aurele. I use the Maliniak Method for growing hair. IT WORKS! I used to see the shine on the top of my head and my hair had stopped growing for seven years. I used The Maliniak Method and after 2 months I saw hair growing. At 4 months - new growth came and at 5 months, even more new growth. I NO LONGER WEAR A HAT! I believe in GOD, this is my testimony. I'm telling the TRUTH. It works. These claims will not impress the mainstream medical community who insist on the standard scientific criteria of "peer-reviewed, double-blind studies with placebos and control groups" but I submit that the theory is fundamentally LOGICAL and there is sufficient anecdotal and quasi-scientific evidence to validate the theory and the effectiveness of the MALINIAK METHOD. 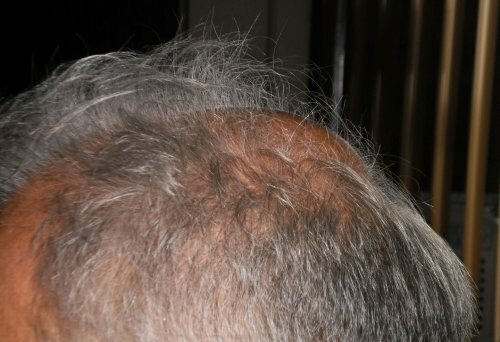 Since the medical community has failed to cure baldness with their conventional approach till now I am not afraid to propose this new theory and I challenge any of them or any other sceptic to try to get these same results and grow new hair on a previously bald scalp by just "telling" people they are getting the treatment, which is the essence of the PLACEBO effect...NO WAY! Some of you will obviously be sceptical and will want to wait for more results, so don't buy the book now. However, for those of you who like the "LAYMAN'S LOGIC" of this theory and think the reasoning behind the treatment method makes sense, then become a part of this process of discovery and exploration and start right now. You can check out all the incredible BUZZ about this method yourself on some of the world�s largest DISCUSSION FORUMS and you no longer have to just take our word for it that this really works. The MALINIAK METHOD only takes about thirty (30) minutes per day and it is very simple. YOUNGER MEN will have to do it every day to start but after a few months, once the hair has stopped falling and new hair has started to grow they should be able to maintain the progress by just doing it two or three times a week. After about one year they will theoretically only need to do it once a week, but results will vary. 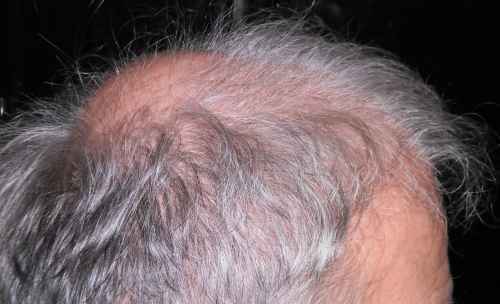 OLDER men who have been bald for a long time will most probably take longer to get initial results, like in my personal case, and will have to stay with it longer to maintain their gains and keep growing hair. But, I know that any man in this position will be glad to make this small sacrifice if he gets his hair back. I think of it as a daily personal grooming function, like BRUSHING MY TEETH. I invite you to order our e-booklet and start using this system immediately. Come along for the ride. This method has been conceived and developed for use only in cases of normal hair loss and MPB and is NOT effective for hair loss due to CHEMOTHERAPY or some other underlying medical condition. * You can start using the Method even before you have purchased the equipment. * You don't need a PayPal account. You can pay with your credit card. * You only need to purchase the equipment ONCE. * Your Order is Secure and Fully Guarateed by PayPal. * Your Credit Card will show a charge by PayPal. 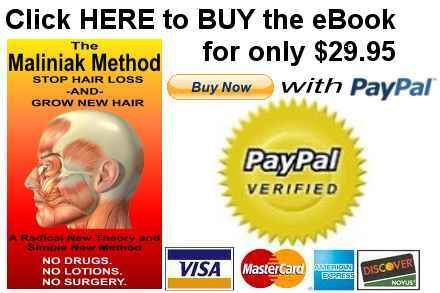 STOP HAIR LOSS and GROW NEW HAIR with the "MALINIAK METHOD" immediately. * You will also receive an email with a download link. You will have 24 hours to download the file. * Your eBook will be an Adobe pdf file in ENGLISH. * The pdf file will be 4.31 MB and will take about 14 seconds to download on a 3 MB/sec connection. * You will need Adobe Reader to view the eBook on you PC or Mac. * 2 instructional videos demonstrating 2 critical techniques. * FREE revisions of the Maliniak Method. * An easy to understand booklet telling you the THREE EASY STEPS to follow with this system and a detailed explanation of the science and thinking behind it so you can see for yourself how logical it is. YOU WILL NOT BE FORCED TO BUY THE PROPER MACHINE FROM US BUT SO MANY CHEATERS HAVE EMERGED ON THE INTERNET TRYING TO CASH IN ON THE MALINIAK METHOD THAT WE NOW STRONGLY URGE PEOPLE TO GET THE MACHINEONLY FROM US TO BE SURE YOU ARE GETTING THE RIGHT ONE. The LINKS to buy a NEW machine from us are in the book. * It has NOTHING TO DO WITH LASERS LAMPS and although this electrical stimulator is an important part of the system, you will NOT get any significant new hair growth with this device alone. You must follow the other steps of the system. * You will also receive a supplementary section with my analysis and review of the whole field of ALTERNATIVE or COMPLIMENTARY medicine which I have researched and studied for YEARS. It will tell you about my CONCLUSION for what seems to be the SIMPLEST, MOST LOGICAL and EFFECTIVE type of ALTERNATIVE APPROACH TO MEDICAL TREATMENT which should be tried BEFORE drugs, surgery or radiation. I personally understand the tremendous emotional pain of HAIR LOSS and the added frustration of not being able to do anything about it. I had a constant feeling of being "helpless"...BUT NOT ANY MORE. THE BEST THING ABOUT THE MALINIAK METHOD IS THAT IT IS SIMPLE AND IT IS NOT EXPENSIVE COMPARED TO ANY OTHER HAIR LOSS TREATMENT. YOU MAKE A "ONE TIME" PURCHASE TO BUY THE ELECTRICAL STIMULATOR that is priced at less than $100.00 for a good USED machine and up to a maximum of $ 650.00 for a top quality brand NEW machine. THERE ARE NO CONTINUOUS MONTHLY EXPENDITURES LIKE WITH DRUGS OR LOTIONS OR SURGERY WHICH END UP COSTING THOUSANDS AND THOUSANDS OF DOLLARS. My HAIR is now BORN AGAIN and that's how I feel too. My name is LEON MALINIAK, B.A., B.C.L., and I am a McGill University Law School graduate. My undergrad degree, also from McGill, was in Psychology. I have been doing medical research for many years because of two bouts of cancer in my family. My daughter contracted leukemia in 1990 when she was three years old. I reviewed 900 medical studies and learned of the existence of a new test based on P.C.R. technology, which greatly improved the "detection of minimal residual disease" and thereby helped children to avoid relapses. It is the same science used to analyze blood at a crime scene. I submitted a written report to a committee of doctors at the Montreal Children's Hospital, they adopted my proposal and my daughter was the first patient they applied it to and she survived, thank GOD. She is now 24 years old and a Cordon Bleu chef. For the last six years it has been my wife's battle with stage four breast cancer. I was again compelled to do extensive research. I interact with the doctors constantly and also provide her with ALTERNATIVE protocols which I have no doubt have helped her to survive and I will continue to be pro-active until she is completely cured. I will never give up. I also published a theory for the PREVENTION OF DUCTAL BREAST CANCER which received favourable feedback from a mainstream medical foundation and I am pushing for its implementation. HOW I STARTED ON THE SUBJECT OF HAIR LOSS AND GROWING NEW HAIR. 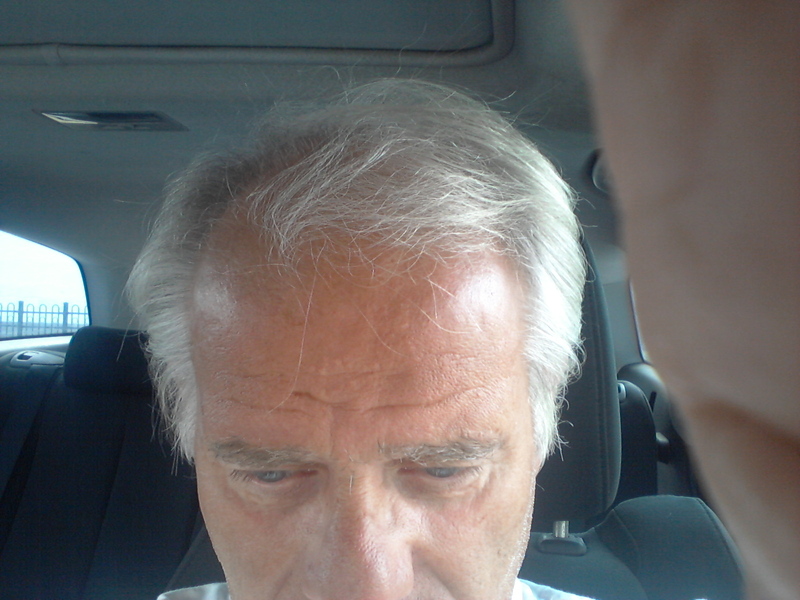 I am 63 years old now and I started losing my hair rapidly when I was 18. I went to a type of "hair clinic" which existed at that time knowing in advance that it was probably BALONEY, but I was desperate. They gave me treatments for a year consisting of scalp massage, pore cleaning, and they also used a machine which was very interesting and it definitely stopped my hair from falling out. I theorized that most of what they were doing was just stimulating the blood circulation in my scalp and cleaning my pores so I continued this myself for years. I believe they helped me get through the "critical" initial phase of elevated testosterone production. I kept most of my hair until I was 40 years old. It then started to thin slowly but this last year I suddenly realized how bald I was on top. All of my hair had completely fallen out and except for a small patch of hair in front and I now had the classic "crescent" shaped BALD shiny dome. In a panic, I tried the standard form of massage I had used for years but it did not work. Then I thought about that former "hair clinic" and wondered if the machine they used could help. I did extensive research until I finally found out what that machine was and I bought one. But that also did not help by itself either. It was only after I opened my eyes to the whole new aspect of this problem about the GALEA that I finally developed a comprehensive new THEORY about hair loss and put together a very simple THREE STEP system which actually stopped my HAIR LOSS and grew "new hair" on my totally bald scalp.